In Japan, many years ago, my great, great Grandparents use to load up a wooden cart every morning and push it to their favorite location where they would set-up a small stand and serve sushi until Pops got too drunk to serve customers. At the end of the day, they would pack up and head home satisfied in the hard work they had done and appreciative customers served. In keeping with this tradition, YATAI SUSHI specializes in “Mobile Sushi Service”. Whether you are planning an intimate gathering with a small group of friends or a large fundraiser, call YATAI SUSHI, we can accommodate any party size. 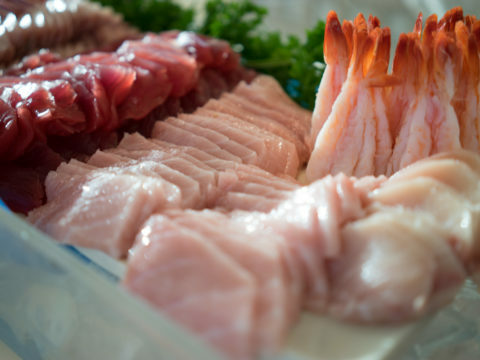 For over eighteen years, we have been traveling to homes, offices, banquet halls, and parks offering the finest quality sushi with friendly, personable sushi chefs catering to every need. 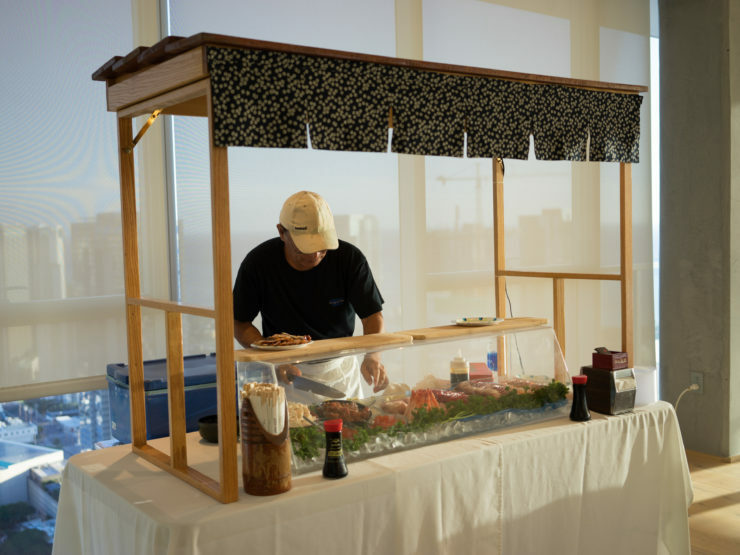 Our customized LIVE SUSHI BAR will be the talk of any party, and your guests will long remember how fun it was to work with our chefs to create a customized sushi dinner just for them. 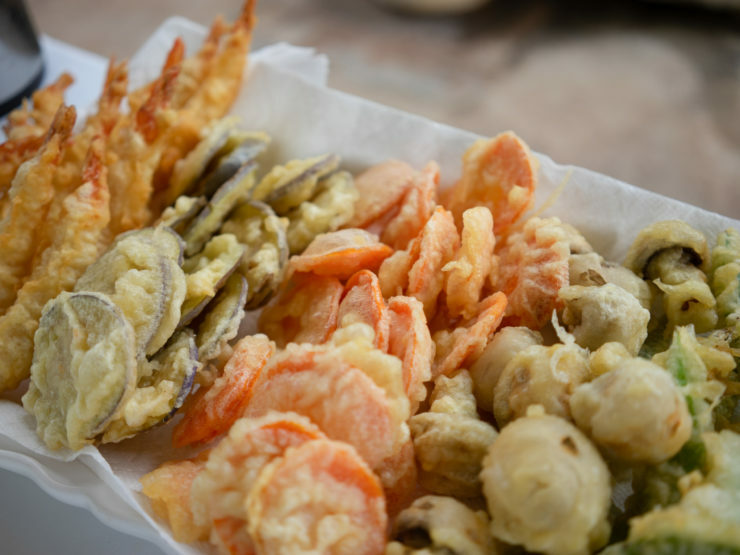 Live Tempura Bar $10/person for two hours Includes: Shrimp Mushroom String Bean Carrots Egg Plant Please call in advance to reserve your next party! We used Yatai Sushi for a birthday party. They arrived early, set up and were ready to serve at the agreed upon time. We had a sushi bar and tempura bar, and our guests loved it! We would totally recommend Yatai Sushi. 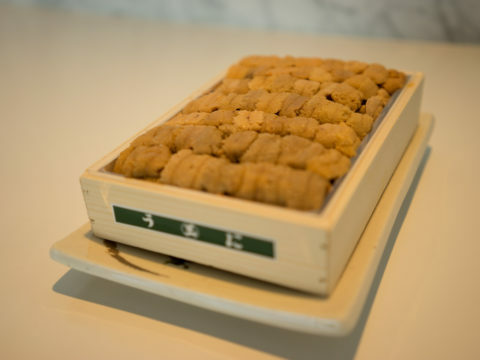 Having a sushi and tempura bar is a novelty and our guests were super impressed and enjoyed every bite. We hired Yatai Sushi for a private event at a local restaurant. Due to the growing number of guests, we decided we needed to hire a caterer to supplement the venue’s food offerings. 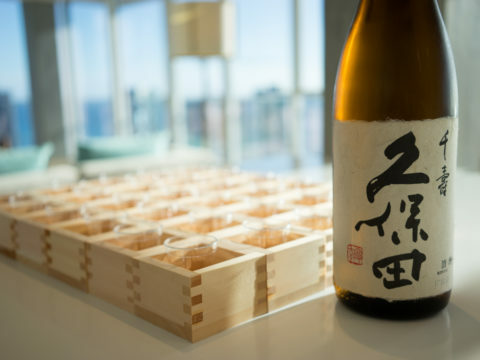 Yatai Sushi practically outshone the venue’s fine dining dishes! Yatai arrived right on time to setup their awesome sushi booths. There were two sushi chefs behind each booth, quickly hand-making delicious sushi rolls for all of our guests. They wear the traditional Japanese yukata, for an added touch! Prompt, yummy, and worth every penny – I’d definitely recommend them for your catering needs! For the price, sushi was well worth it! Flexible caterer, good quality, generous portions and friendly staff. So while I was skeptical about their mobile catering at first I was delightfully surprised of their honest/genuine assistance in helping us determine the overall requirements and cost.